Breakouts are your worst nightmares and initially, they are quite a lot in number. But do not worry, Revitol Acnezine acne cream starts working immediately on them. 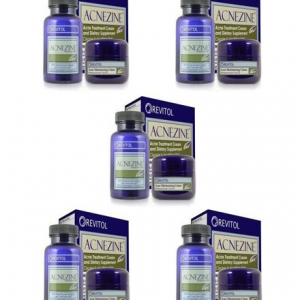 Acnezine formula utilizes the potential strength of active anti-oxidants, Vitamins, and herbs such as Aloe Vera and honey which are widely known for their detoxifying properties. 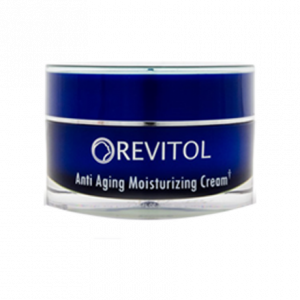 After you start using Revitol Acnezine cream, you may experience more outbreaks at first but it is a progressive sign. It is vital in the detoxification process and is also a sign that the product is working. It is an all natural formula and contains active ingredients – antioxidants and Vitamins that detoxifies the skin and make it look clearer than before. It works faster than any other acne cream available and leaves no negative side effects. 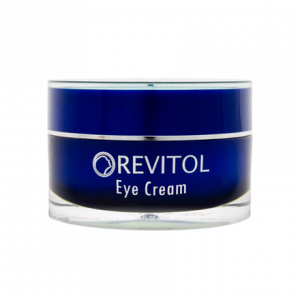 Why Use Revitol Acnezine Solution? It is a formulated to go deep into your skin to eliminate bacteria that cause acne. Treats existing acne while preventing new breakouts. Works on almost all types of acne: whiteheads, blackheads, inflammation and so on. Works for both face and body. 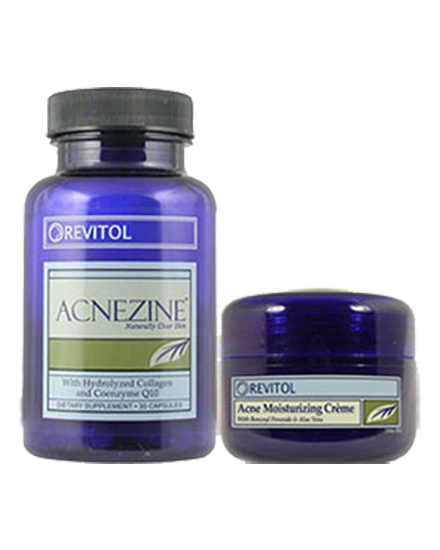 Revitol Acnezine solution works in a different manner. It works on the root cause of the problem. It doesn’t kill acne bacteria. 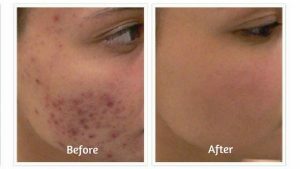 Rather it develops a reason for acne to grow and beats harmful toxins and poisons coming out from within. Reduced toxins, bacteria and oil secretion result in cleaner pores and acne free skin. Get it for $23.99/each on 5 Month Supply. 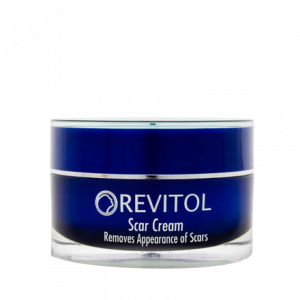 Buy Revitol Acnezine cream now and remove the root cause of your unsightly breakouts! I had tried a number of products before this but none of them gave me the reults that I wanted. Revitol acnezine acne cream worked really well for my skin. I love it because it is made with natural ingredients and is economical too. The results were really quick as compared to all the other products that I had used prior to this one. Though it made my skin a little dry but it was only due to my mistake. The cream should be applied to the acnes only. 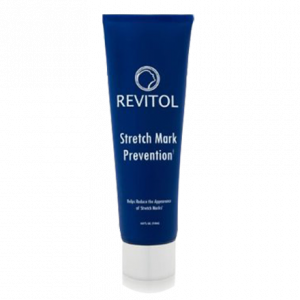 People who are skeptical, a word for them – Revitol acne cream works. Last year, I was suffering from stress and as a result have horrible acne breakout. It was around my jaw line and forehead. That was the time I found Revitol Acnezine cream. It quickly dries them down and relieves me of the pain associated with the bumps. Very effective on adult acne! I have oily skin and regular workout and sweating gets me acne very often. 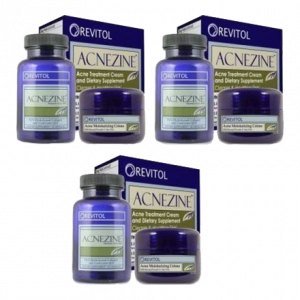 Revitol Acnezine Solution not only cure your acne but also prevent you from getting new ones. You can see results after only week of use. I use it at night mostly. My skin looks better than what it was 2years back.